Last night I restored a Kiso Suzuki WE-150. There wasn’t anything really wrong with it, it was just extremely dirty and the frets seemed to have been lying around in aquarium. I cleaned it for 2 hours, polished the frets and set it up and now it plays and sounds great. I changed the nut too, from plastic to bone, which improved the tone a lot. 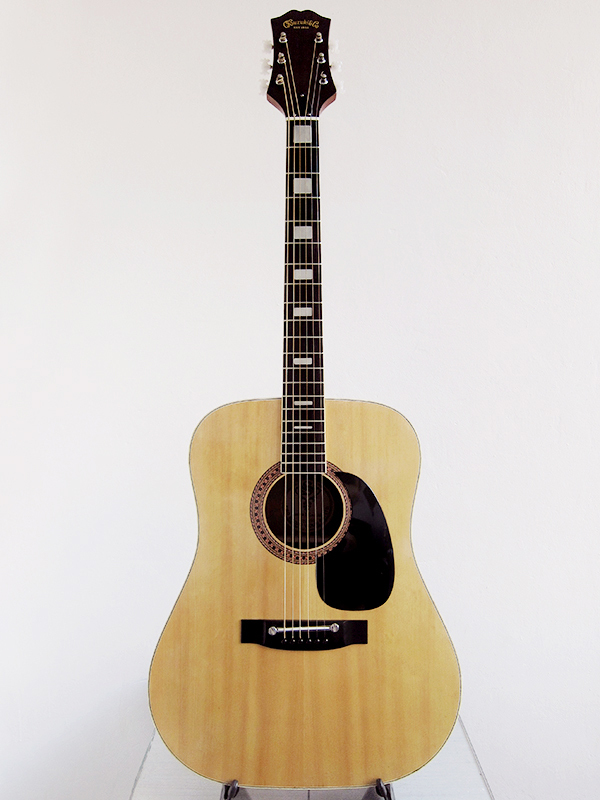 It’s actually one of the easier guitars I have played in a while even though it’s a dreadnought. I strung it with 11’s which I normally do on all of my acoustics so I can play them like electrics but this one felt extra easy to play. I tend to find dreadnoughts a lot stiffer compared to folk- and parlour sized guitars even with light gauged strings. I would like to keep it but it has to go so if you are interested you can find it in For sale. 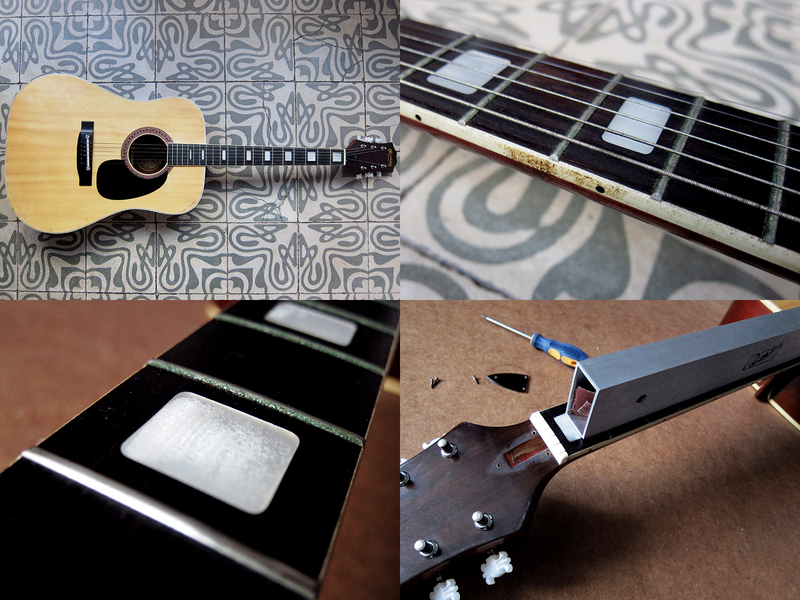 The frets was extremely dirty and full of something green that almost looked like moss. I cleaned, dressed and polished them and then oiled up the fretboard with lemon oil. I adjusted the neck and set it up so now it plays really well with low action without any buzzing. A great Japanese made Kiso Suzuki WE-150 from 1980 that looks almost new.